home - blog - Bathroom Linen, Beach Towels, Linen beach towels - Why Are Linen Towels the Best Choice this Summer? We make no secret of the fact that we think linen is a pretty magical fabric. We’ve raved about its environmentally-friendly credentials, its breathability and comfort, its long-lasting beauty. Well now it’s time to sing the praises of the humble linen towel. This is one of those products that you won’t be able to remember how you did without. One of those trusty, hardworking products that make your life easier and a lot more luxurious. 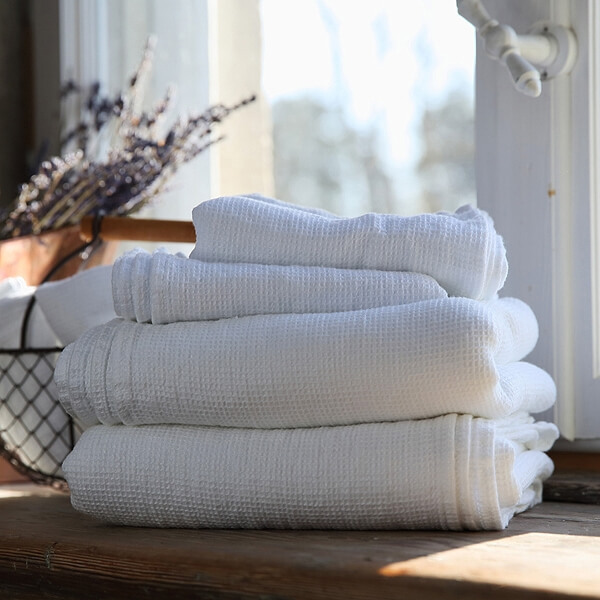 So, why are linen towels the best choice for you and your family this summer? 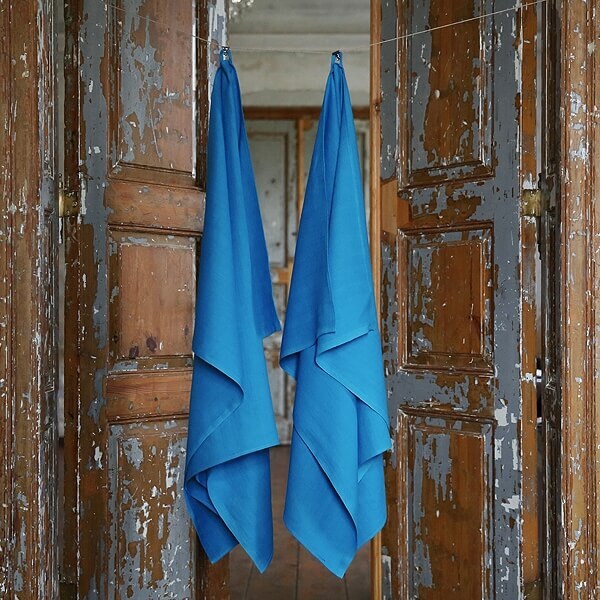 Our linen towels are lightweight yet super effective. This makes them perfect for packing for a trip to the beach, pool or gym. No more bulky cotton towels that take up your whole bag and weigh you down when they are wet. Instead, a linen towel folds neatly into a compact roll, leaving you more room for your books, gym kit, swimsuit, phone and other summer essentials. If you like to travel light, you will like linen. They also take up less space in the washing machine, making your washes more fuel and cost effective. Other towels can feel scratchy unless they are tumble dried, which is not great for energy consumption and living in harmony with the planet. If you try to avoid all but the most essential tumble drying, a linen towel is the perfect choice. It will stay super soft, and will feel comfortable against even the most sensitive skin. And the softness will last, too. A linen towel will work hard for years, making it a really sound investment. A neatly folded pile of linen towels in white or muted tones looks bang on trend at the moment. Or you can add a pop of colour with a brighter shade – linen holds colours really well, and will keep them looking bright and fresh for longer. Make sure your bathroom is Insta-ready by displaying your bathroom linens on open shelving, or rolled into a vintage apple crate. If you have a guest room, why not buy a set for your visitors, and leave them folded on the bed with a sprig of lavender for a homely welcome? 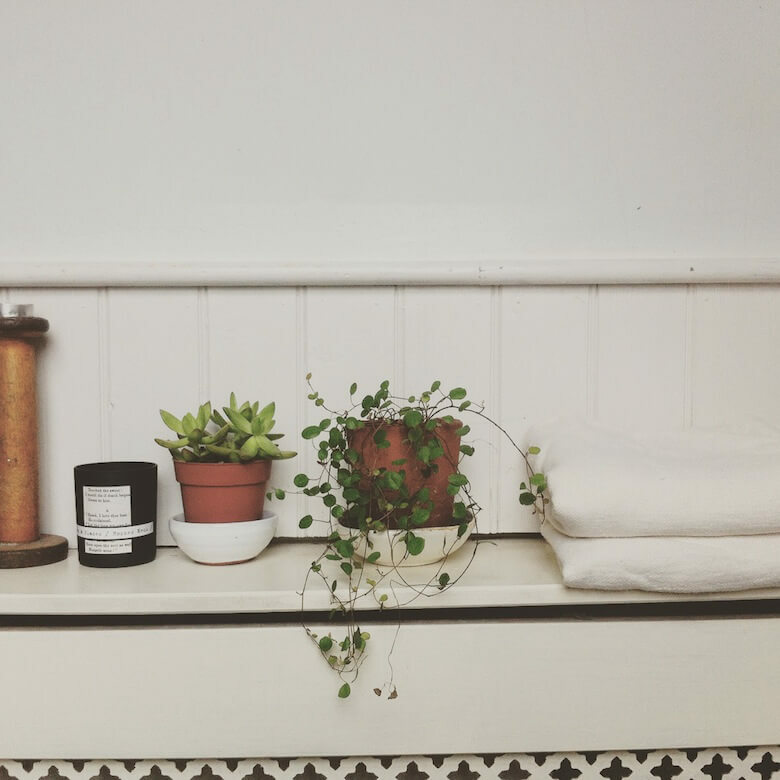 If you buy one of our linen towels, or have some products from our bathroom linens range, why not send us a pic of them out in the wild, tag them on Instagram, or leave a comment describing where you took them? 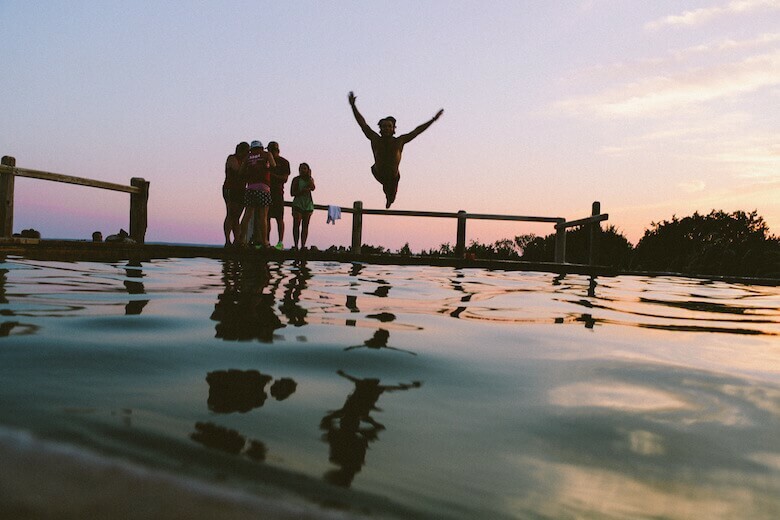 We’d love to see how you are using yours this summer, and what adventures they accompany you on. To get you started, here’s how I used mine: I took it to my local lido all last summer, and no-one else in the family was allowed to use it. I have a blue one, to distinguish it from the rest of our linen towels (off-white), and once I had dried off and warmed up (the water is freezing!) 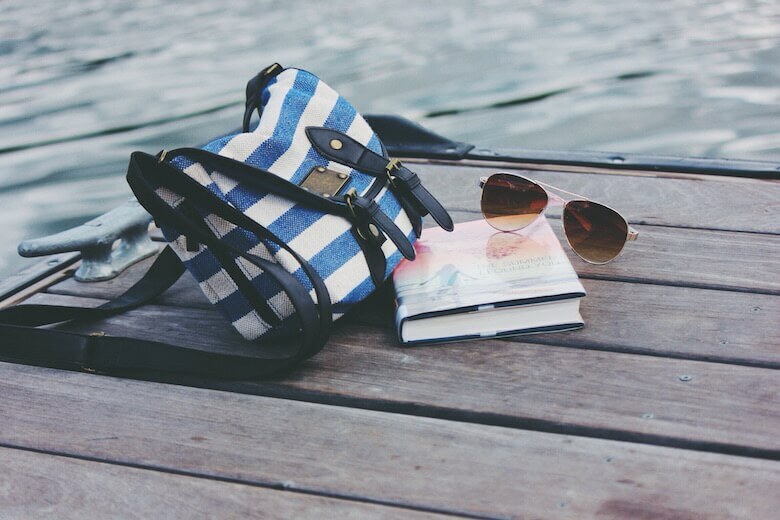 I sat and ate my lunch poolside, or read my book in the sunshine before heading back to work. Because I am always so cold when I come out of the water, I need a towel that will get me dry quickly, and that will itself dry off nearly as fast. That blue towel reminds me of feeling free, alive and peaceful. I can’t wait for the new season to start, and it will be there alongside me again. Where will your linen take you?